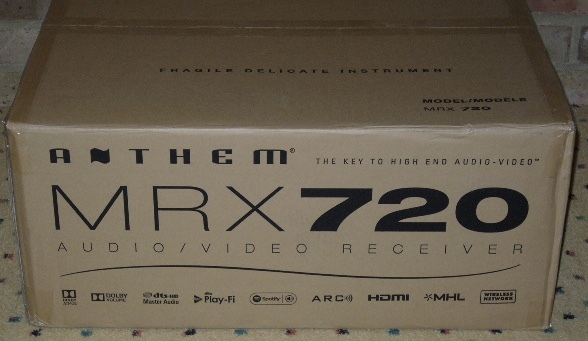 It's Time For A New National Anthem MRX720! 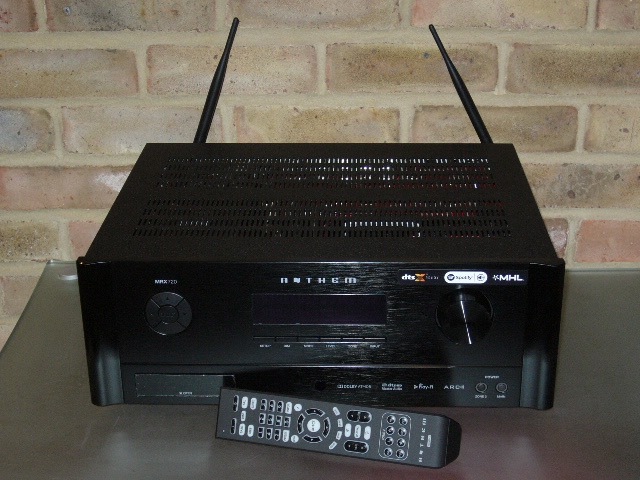 Last week we finally received our eagerly awaited new Anthem MRX720 AV receiver. The MRX720 is the third generation of this home cinema receiver, so what’s new? New is the addition of Dolby Atmos decoding and it has been made ready for DTS-X, it also now has network capability and via the DTS Play-Fi app it offers not only the ability to play any music you may have stored on your network, but internet radio and multiple music streaming services including Tidal and Spotify. It now has 4 configurable input settings, up from 2 on the previous model, for setting up listener positions, level calibration and bass management which can be assigned to all the source inputs allowing you to choose the playback speaker settings for whichever source you choose. The HDMI 7 input is now set up for using MHL devices, Mobile High Definition Link, as some new smaller media players take power in this way. It still comes with a microphone and room setup software (ARC) to ensure the best possible sound from your chosen speaker setup. It is a 11.2 pre amp, 7 channel AV receiver with 2 zone outputs for use in 2 other rooms from its speaker outputs, it has 4k pass through and HDMI 1 includes an audio return channel. It has plenty of inputs, 7 HDMI, 3 Optical digital, 2 co-axial digital, 5 analogue and a FM tuner, with outputs of 2 HDMI, 1 co-axial and a 12v trigger for control of other components which may be in your system, it tops all this off with a healthy 11 x 140 watts per channel from its on board amplifiers. We set it up with a Focal Aria speaker package, 926, 906, 905 and a Rel T7i subwoofer, pulled out some of our favourite movie clips , played using our Blu-Ray player of choice, we were not disappointed, it had grip, control and subtlety but when required the power to shake the room leaving you completely immersed in the film. We also hooked up our Naim CD5XS to see how it performed with a good CD player through its analogue inputs as a 2 channel source and once again it did not disappoint us, this amplifier is certainly no slouch and I cannot recommend it highly enough. So come on in and experience it for yourself. I’m sure you will not be disappointed either.